Good morning from Hamburg and welcome. The EUR gained versus the USD and was able to cross the 1.5000 level. The EUR gained also against the most other counterparts. However, we wish you a successful trading day. The USD traded near a 14 month low against the EUR and touched 1.5046, the weakest level since August 2008 as evidence of a global economic recovery damped the demand for the USD as a safe haven. The EUR climbed versus 10 of its 16 major counterparts before reports forecast to show that an index of the U.S. leading indicators increased and that the German business confidence improved. The EUR traded against the JPY near a 2 month high and reached 136.76 after reports showed that the exports from Japan fell at a slower pace in September. Therefore, many people started to invest in higher yielding assets overseas. The USD/JPY trades on the approximate level like yesterday and reached 91.03. The GBP/USD gained to 1.6626. Yesterday the European Central Bank said that the euro zone economy appears to be recovering more quickly than in the U.S and Japan too. Also the Ifo institute`s climate index will support that with an increase so that the most investors expect a continuing gain for the EUR. Since the beginning of October, the AUD has been trading in a bullish trend against the NZD. 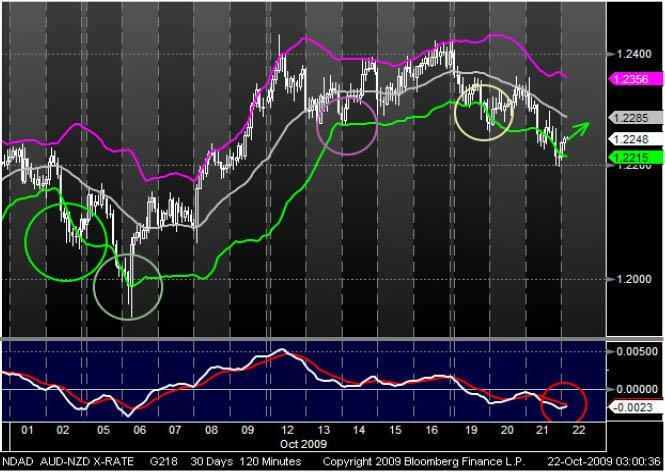 Now, the currency pair reaches the lower Bollinger Band. Four times before in October when it touched the lower line, the prices recovered and rose over the middle to the upper Bollinger Band. Furthermore, a crossing MACD through the signal line from below may indicate a recovering trend. With the beginning of October, the XAU has been trading in a bullish trend against the USD. Since two weeks, the XAU traded into a slow rising trend channel. 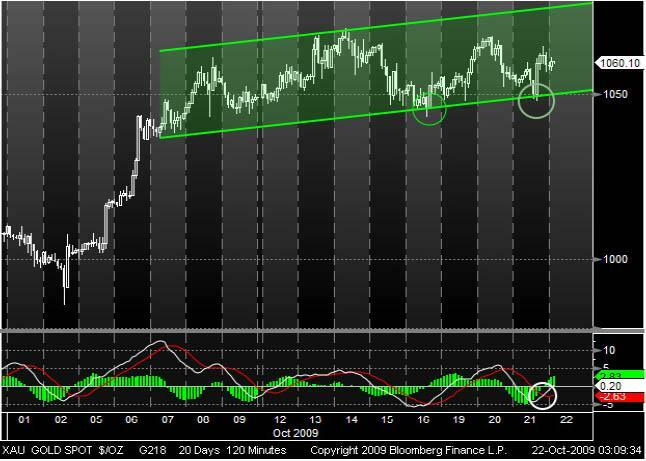 During that time, the currency pair touched two times the bottom line from its trend channel and the prices recovered. Also a raising MA Oscillator may support a continuing bullish trend and a stable trend channel.